Christmas is a holiday that is full of gifts, food, parties and more. As it is a special time of year make the most of it and dress for the occasion. You are going to be socializing a lot and maybe even attending a Christmas party or two so it is important to have some stylish and festive outfits. To give you some inspiration we have found 21 Christmas outfit ideas. There is something for everyone from cozy to glam. Take a look and find your favourite. First up we have this cute sweater and jeans combo. As it Christmas the sweater has a cute festive design on the front. You could wear an outfit like this on a casual day or even to a party. If it is for a party wear heels instead of casual shoes. There are so many Christmas sweaters available to buy so there is a style for everyone. Choker tops have been a must-have for a while. This next outfit idea shows how to wear this style for Christmas. 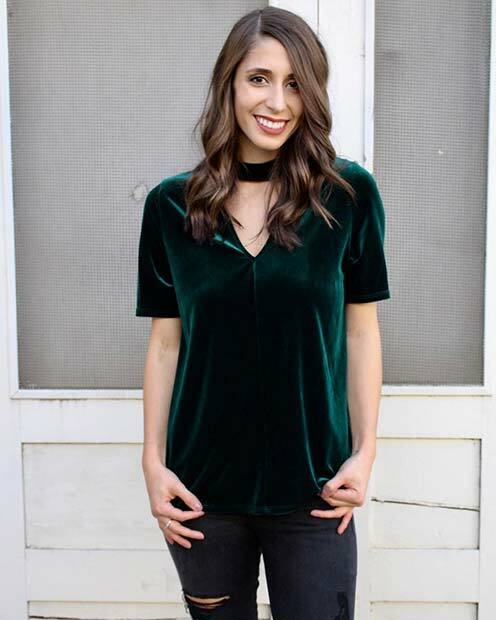 The top has been made in a velvet fabric and is in a dark green shade. A top like this is glam and can be worn for any festive occasion. Dark green is a great Christmas color for those who want an alternative to red. 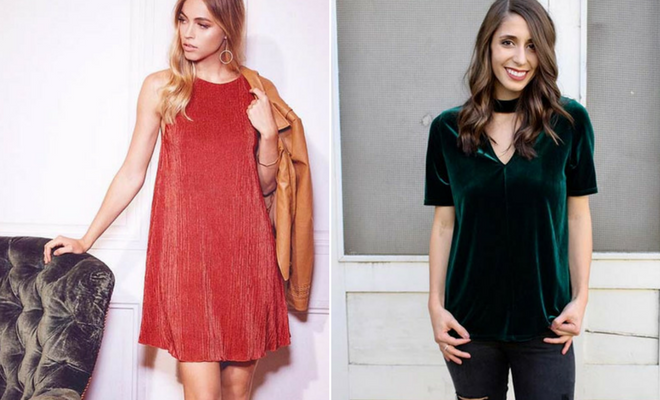 During the festive season say goodbye to the little black dress and hello to a red dress. Red is a must-have color for Christmas and will look super stylish. Our next idea features a long sleeve red dress with a thin black belt. An outfit like this would look beautiful for any occasion from a work Christmas party to Christmas dinner with the family. Our next outfit idea shows how you can look festive and chic. The outfit is put together with a sweater and midi skirt. The sweater is super cute and features the word sparkle. We love this because Christmas isn’t complete without some sparkle. You could recreate this look with any sweater and skirt combo just try to use Christmassy styles. 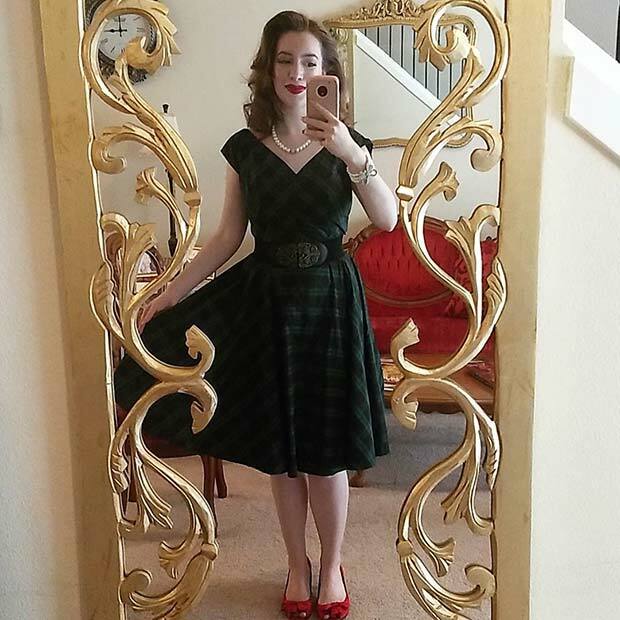 Add some vintage glamour to the holiday season with an outfit like this one. 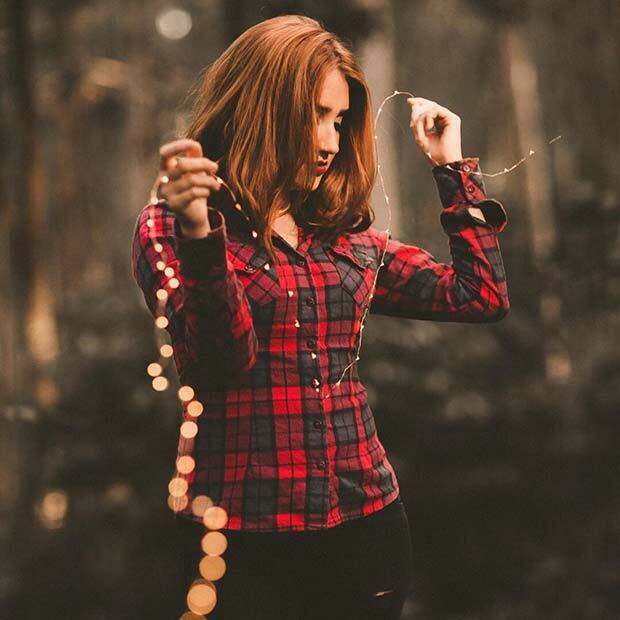 This fashionista has dressed in a beautiful dark green tartan dress with red shoes. The outfit has combined two classic Christmas colors in an elegant way. An outfit like this would look beautiful for any occasion. Going to a Christmas party? Then you need to take a look at this outfit. The outfit is black and sparkly on the top with plain black pants. You could recreate this look with a similar jumpsuit or with a separate top and pants. The outfit is all black but it looks festive because of the sparkle. Something like this is for the ladies who want to look elegant and chic during the holiday season. 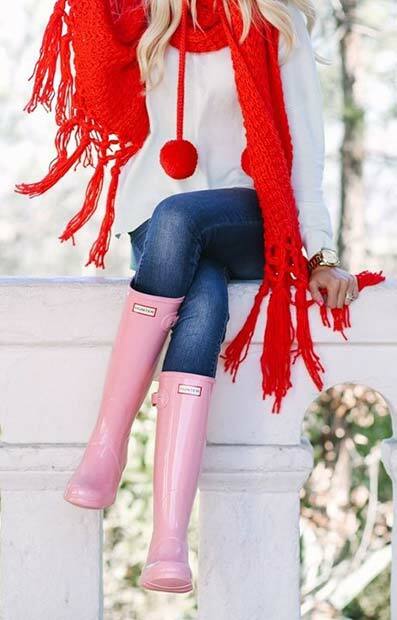 If you want to add some festive accessories to your look then why not try a red scarf like this one. A scarf is a must-have accessory because it will keep you cozy and will look stylish. Red is a classic color of the holiday so it will make any outfit look a little Christmassy. 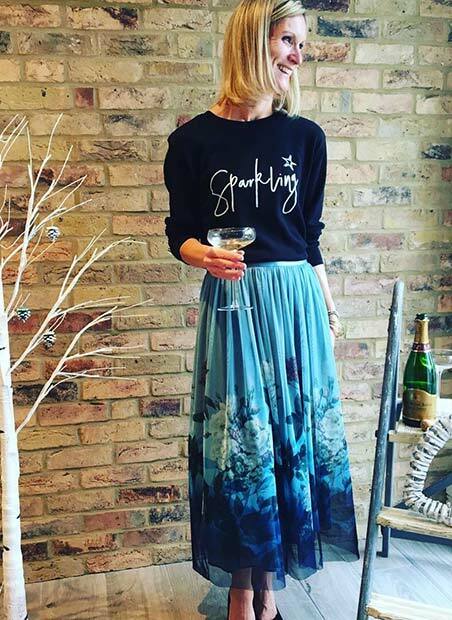 Want a Christmas outfit that is festive and fun? Then this next pick is for you. This outfit is a bright green suit with a Christmas inspired print. An outfit like this is for the people who love Christmas and enjoy a novelty item. You could wear something like this on Christmas day or for a party. Plaid is a must-have for the winter. It looks stylish and can be dressed up or down. As it is Christmas you could wear red plaid like this. You get a trendy look that has a festive vibe. A shirt like this one will suit everyone and can be worn with jeans or a skirt. Next we have a cute red outfit idea. The outfit features a short red dress that has a shimmery look. A dress like this would be perfect for a party. You get the festive look but will look super stylish and on trend. Wear gold accessories with a dress like this for a glam Christmas outfit.